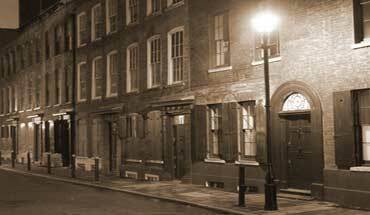 Join our expert guides for the ultimate Jack the Ripper Walk into the heart of the abyss as you follow in the footsteps of the world's most infamous murderer. This widely acclaimed tour was devised by international author Richard Jones, and is led by either him or his team of handpicked freelance guides who are all experts on the Jack the Ripper murders. Beginning at Aldgate East Underground Station, this Jack the Ripper Walk immediately takes you back to that long ago autumn of gaslit terror when Jack the Ripper stalked the very alleyways and streets through which you will walk. 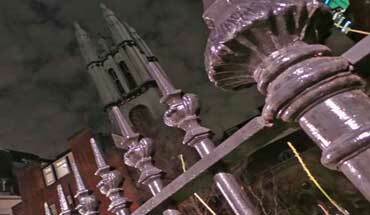 It begins in a darkly sinister alleyway where the ambience of Victorian London immediately envelopes you. 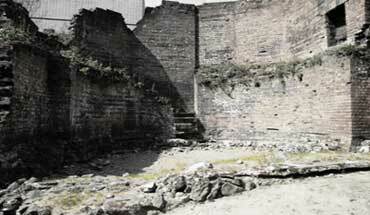 Here your expert guide will set the scene of what the area was like in the 19th century. Surrounded by buildings that have survived the march of time and progress, you really will begin to feel that all manner of horrors could be lurking in the shadows. And, when you consider that this first dark and cobbled alleyway that you venture into is the exact same alleyway that Whitechapel murders victim Martha Tabram led her murderer in the early hours of August 7th, 1888, you can see why our start point is the best place to begin an exploration of Jack the Ripper's London, because you are beginning at the beginning. So, with the scene set, it will then then be time to head off into the historic streets of East London as you follow in the footsteps of history's most infamous serial killer. 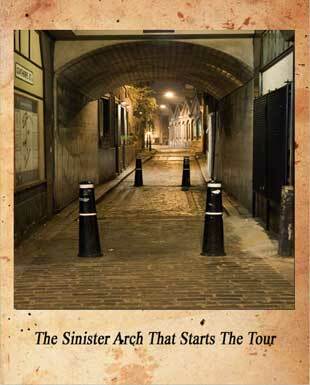 Step by step you will be lead further into what was referred to at the time as "the abyss," a warren of backstreets and alleyways that provided the backcloth against which the Jack the Ripper saga was played out. To walk these streets today is to get the true feel of what it must have been like to live here in the late 19th century. 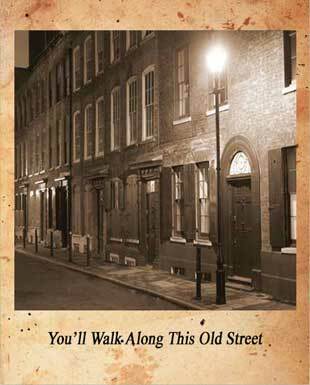 To fill in the blanks of the buildings that are no longer standing, your guide will pass around original Victorian photographs of the streets through which you are walking so that you can see exactly what they were like at the time of the murders. The important thing to remember is that these photographs are passed around. They are not held up by the guide for participants to squint hard to try to see them. They are not projected onto a wall with a shaky, hand-held projector that requires absolute darkness for the image to be clearly visible. On our tour these evocative, mood-setting original Victorian photographs are actually passed from person to person so you will be able to hold them and study them for as long as you wish. In other words, you will be able to peruse them at your leisure, and you will be able to use them to draw comparisons between each location as it is now and how it was in 1888. And, since a thorough knowledge of the scene of the crime is a major part of any investigation, you will begin to gain a thorough understanding of the facts behind the Jack the Ripper murders. Our Jack the Ripper Walk mingles fascinating social history with gruesome facts, and is presented in a dramatic fashion that will enthrall, entertain, engage and chill you. You will follow the murders in a, more or less, chronological order so that you will see how the panic began to build as people realised that something quite terrible was happening on the streets and in the darker recesses of the East End of London. And, as you walk, you will pass the old houses from the windows of which the 19th century residents would have looked nervously out into the East End nights, knowing that the ripper himself might well be watching from the dark courts that still line some of the Whitechapel streets and alleyways. 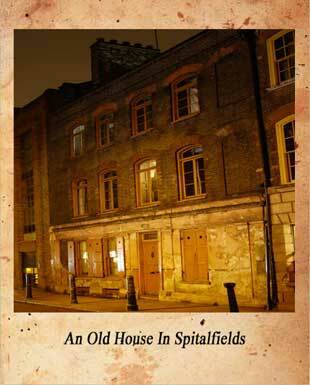 These houses are incredibly atmospheric, and they really do capture the ambience of the period; so much so, that they have frequently been used as backcloths in numerous historical television dramas and films, and the streets in which they stand have made numerous appearances in many of the programmes - dramas, films and documentaries - about the Whitechapel murders. That's how little changed these streets are. In fact, to walk though them today is as close as you can get to stepping back in time, and they really do elicit comments of amazement from those who take the tour with us. Of course, in addition to the social history that the ripper crimes open up for us, the murders were also the focus of a massive police investigation that, ultimately, we, seemingly, end in failure. So, in the course of the walk, you will also learn about the police officers who pitted their wits against the murderer in their midst and hear how they raced against time to hunt down the monstrous miscreant before he could kill again. 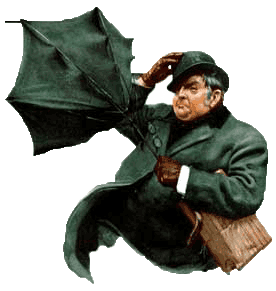 Your guide will skillfully lift the lid on their investigation, laying before you the evidence against the major suspects and outlining the problems that beset the 19th century detectives and which, ultimately, doomed their investigation to humiliating failure. 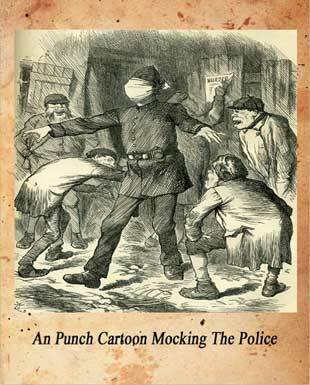 Indeed, much of that humiliation came courtesy of the "gentlemen" of the press who wasted no opportunity afforded to them by the Metropolitan Police' seeming inability to catch the killer to criticize and taunt the constables and detectives who were hunting their elusive quarry in the East End thoroughfares that you will be exploring on the tour. One of the reasons that the police found it so difficult to track the ripper was that the area was made up of myriad dark alleyways and passage, none of which were lit by night, and all of which provided the perfect escape route for a criminal who was intent on evading capture. On the walk you will explore some of those thoroughfares and, in so doing, you will gain an understanding of the problems they presented for the police investigation into the crimes. You will see the pubs where the victims of Jack the Ripper, and the people of the area, tried to forget the nightmare they found themselves in. Many of these old hostelries are still just as they were at the time of the murders when the conversation would have been all about the brutal atrocities that were taking place in the alleyways and courts that still surround them. Pubs like the Ten Bells, where Jack the Ripper's second victim was seen drinking shortly before her body was discovered in a nearby backyard. Pubs such as the Frying Pan, where the ripper's first victim drank away the money that would have paid for a bed in a lodging house and kept her from the ripper's savage clutches. 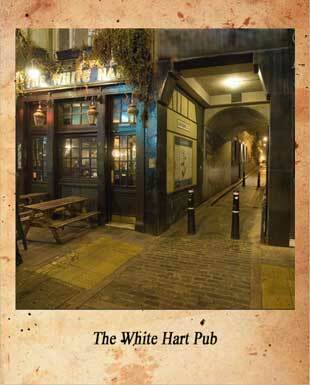 Or even The White Hart, which still stands alongside the point from which we set out on our Jack the Ripper Crime Scenes investigation and in the basement of which one of the major suspects worked as a barber. Although we don's actually visit the pubs, your guide will be only too happy to give you directions back to them (it will only be a five to ten minute walk) at the end of the tour so that you can sample their traditional hospitality should you so desire. The fact that these pubs have managed to survive the gentrification that has beset the district in recent years is testimony to their ongoing importance in the everyday lives of the community and their appearance, largely unchanged by time and progress, provides a chilling link with our age and that of the ripper. You will see the place where the only clue that the killer ever left was discovered, and you will stand on the sites where witnesses saw the victims, possibly in the company of Jack the Ripper himself. In fact, so important is the clue in the hunt for Jack the Ripper that we invite you to visit the site now via the video below and form your own opinion as to its veracity. Having done so, you are then perfectly placed to judge its importance to the case when you arrive at the doorway on the tour. You will then be able to examine the surroundings in order to piece together the evidence that the clue affords and see if you might spot something that may have eluded the Victorian police. Finally, with the night closing around you, your expert guides will introduce you to the suspect whom they believe was Jack the Ripper. So join us for a fascinating, though chilling, journey back to the autumn of 1888, and enjoy the experience of exploring the twists and turns of the world's most famous murder mystery on London's premier Jack the Ripper Walk. The Alleyways and Shadows Walk can be booked as a private tour for your office social, tour group, or even as an outing with a difference for a group of friends or relatives.